Enter your team in the ICPI-NCC Regional Contractor Competition Today! Winning team will be sponsored to compete for our region in the HNA 2017 Installer Championship. CA Regional Installer Team wins 4th Place out of 24 teams from across the United States & Canada. In the preliminary round each team was given 60 minutes to construct an 8 ft x 10 ft interlocking concrete patio with a small seat wall as detailed in the drawings provided to each team. Each installation was judged based on criteria related to safety, craftsmanship and compliance to industry best practices. The teams with the top four scores moved on to the final championship round where they were given 90 minutes to construct their own creative design. 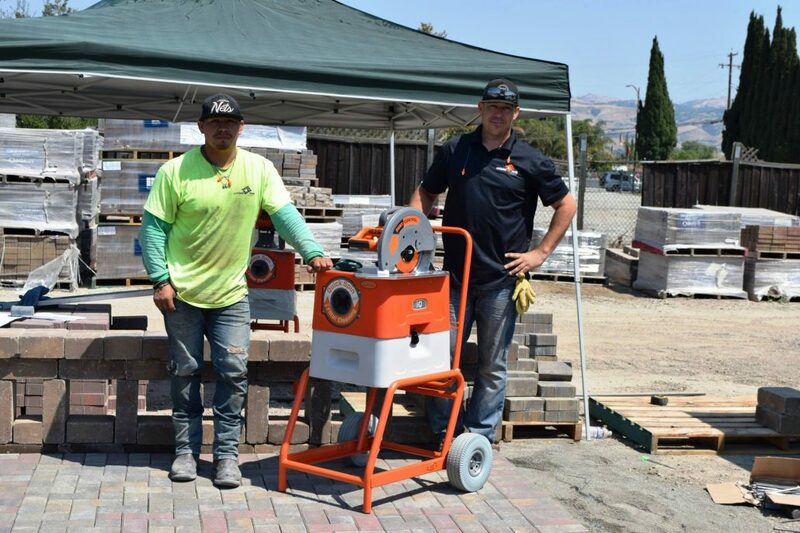 Fourth place was awarded to LR Landscaping of Lincoln, CA with team members Lee Reveles, Daniel Preciado, Elmer Casasola. In the championship round they scored 378 points. The competition will have 2 rounds, each using clay pavers, concrete pavers and wall units. To help teams get started, at the beginning of each round the compacted DGA base will be provided. The Regional Competition will be held Saturday, August 26 in San Jose. For the first round, teams will be asked to construct an 8’ x 10’ patio area according to a very detailed drawing within 60 minutes. For the second round, teams will be asked to use all three of the materials provided to construct an 8’ x 10’ patio within 90 minutes based on their own creative design. Here are four reasons why your team needs to register now and compete in the ICPI-NCC 2017 Regional Contractor Championship! Fabulous Prizes – The Regional Champions will be sponsored to represent and compete in the HNA 2016 Installer Championship where they will compete for further prizes at the National Level, as well as receiving, recognition in various media including ICPI-NCC Newsletter, website and awards program. The “Runner Up” or second place team will receive an iQ handheld saw and the 3rd place team will receive iQ saw blades. 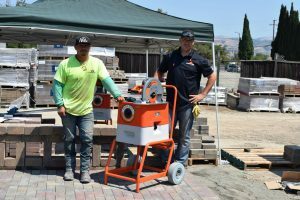 Tools provided – We will provide all the construction materials and these tools for your use: forward plate compactor, 14-inch masonry saw with fully-integrated dust collection. Each team must bring their own personal safety equipment, screed rails, screed board, d-handled square shovel, wheelbarrow and other small hand tools they need such as measuring tapes, etc. Bragging rights for a full year! https://icpica.com/wp-content/uploads/2017/07/1st-Place.jpg 1365 2048 Shiela Wallace https://icpica.com/wp-content/uploads/2016/11/logo-small.jpg Shiela Wallace2017-07-09 17:00:002017-09-12 16:26:24Enter your team in the ICPI-NCC Regional Contractor Competition Today!